The Plaza’s steakhouse will offer four Negronis for $9 each, including Coo Coo for Cocoa, a dessert Negroni with gin, Campari, dark crème de cacao, ruby port, Xocolatl Mole bitters. 1 S. Main St., 702-386-7227, OscarsLV.com. Try a mezcal-barrel-aged Negroni featuring Plymouth Gin, Campari and Dolin Rouge Vermouth. 3900 Paradise Rd., 702-675-7572, TacosAndBeerLasVegas.com. 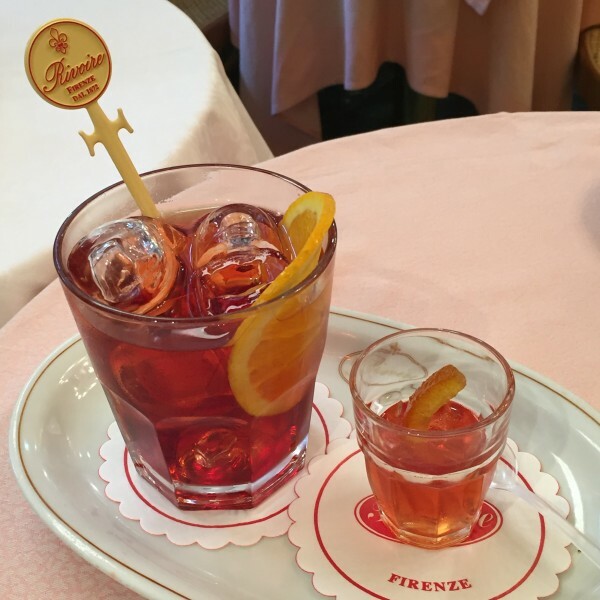 Variations include classic, Sbagliato and Boulevardier, as well as the Aperoni (gin, sweet vermouth, Aperol and prosecco), Gioiello (gin, sweet vermouth and green Chartreuse) and Carmenta (gin, prosecco and crème de fraise). 4480 Paradise Rd., 702-364-5300, FerrarosLasVegas.com. The casino bar will offer a classic Negroni cocktail for $12, and half of all Negroni sales during Negroni Week will be donated to Safe Nest. Palazzo.com. Perhaps straying the farthest from its origins is the Blackberry Sage Tea Negroni, combining Bulldog Gin, sweet vermouth and Campari infused with blackberry sage tea served over a blackberry sage tea ice sphere. Green Valley Ranch, 702-617-7075, BottigliaLV.com. Echo & Rig Tivoli Village’s steakhouse hosts the Team Negroni afterparty (11 a.m.-1 p.m. June 13) following the group’s 40-mile cycle through Red Rock to raise money for the Helen David Relief Fund. Donate at Crowdrise.com/TeamNegroni2016. 440 S Rampart Blvd., 702-489-3525, EchoAndRig.com. For a complete—and growing!—list of participating venues, visit NegroniWeek.com. The post Negroni Week 2016: There Are So Many Ways to Drink It In appeared first on Vegas Seven.